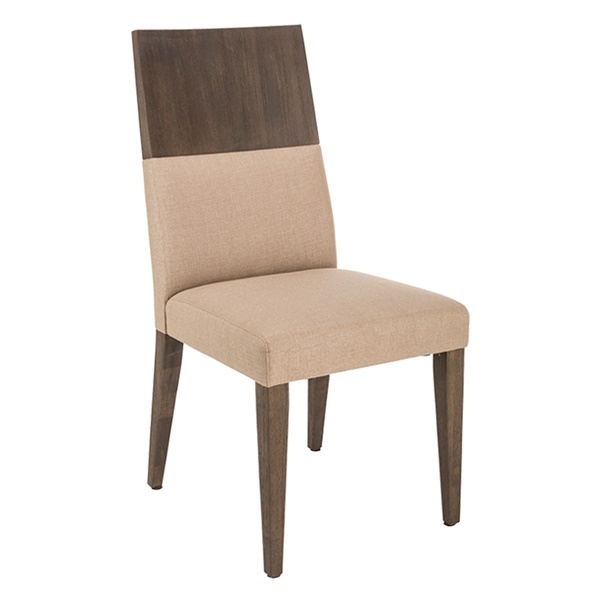 Add a distinctive dining chair to your kitchen -- the Camila Dining Chair from Sunpan. This dining chair features a stylish, plush fabric seat and partial back that make it simple for your guests to sit comfortably. Plus, the dining chair combines transitional and rustic styling perfectly, resulting in a one-of-a-kind seat that you can enjoy for years to come. Decorating your dining room can be challenging, but with the Camila Dining Chair, you can provide your guests with a cozy, exceptionally designed seat. Dark, stylish finish provides the dining chair with a one-of-a-kind look and feel. Linen fabric seat and partial back deliver exceptional comfort. Blends transitional and rustic styling, making it a top choice for dining room's of all shapes and sizes. Deluxe frame consists of high-quality materials that will maintain their quality for years.